Aintree Circuit was constructed in just 4 months in 1954 as the UK’s first (and only) purpose built 3 mile Grand Prix motor racing circuit. It was intended to be run anti-clockwise, just like the Grand National horse races, but only the first event was actually run that way. 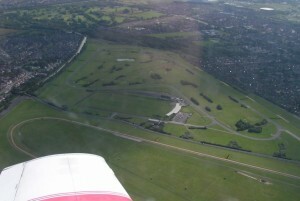 Experience showed that the circuit would be safer run conventionally, so it has been run clockwise ever since. 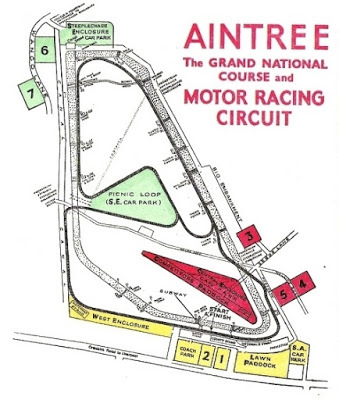 Aintree hosted five world championship Grand Prix races, 1955, 1957, 1959, 1961 & 1962 as well as several non-world championship Formula One races. Back in the 50’s the top drivers of the day competed in several different types of car racing as well as the World Championship races and could even be seen racing in saloon or sports cars as well as in the main event. The full 3 mile Grand Prix circuit was last used in 1964 but car racing continued on the 1.5 mile Club Circuit right through until 1982. Today, the circuit still hosts motorcycle races but regrettably, car racing has been consigned to history. 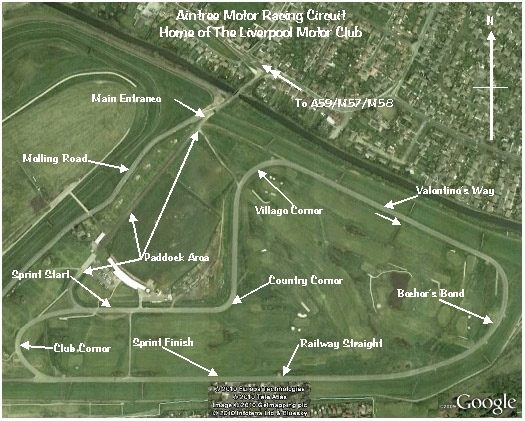 However, the Club Circuit is still used for the car sprints and track days run by Liverpool Motor Club whose members are determined to keep the venue alive for motorsport. How do you drive Aintree? On the The Hillclimb & Sprint Association’s website are two excellent guides to competing at Aintree, one written by Steve Liptrott in 2001, and another written by Gary Thomas in 2008. Each driver has achieved Fastest Time of the Day at least once at an Aintree Sprint so they definitely know how to drive Aintree and their guides are well worth a read if you’ve not been to Aintree before – and still worth looking at even if you have! On our Track Days page is – A Lap of Aintree – Really Helpful Advice – written by our regular Aintree ARDS instructor, Andrew Whitehouse. Whilst it is intended for track day drivers and therefore includes Club Corner, it contains extremely useful information about every corner on the circuit. You will almost certainly learn something, no matter how competent you think you are! As it was – the 3 mile Grand Prix Circuit, 1959. 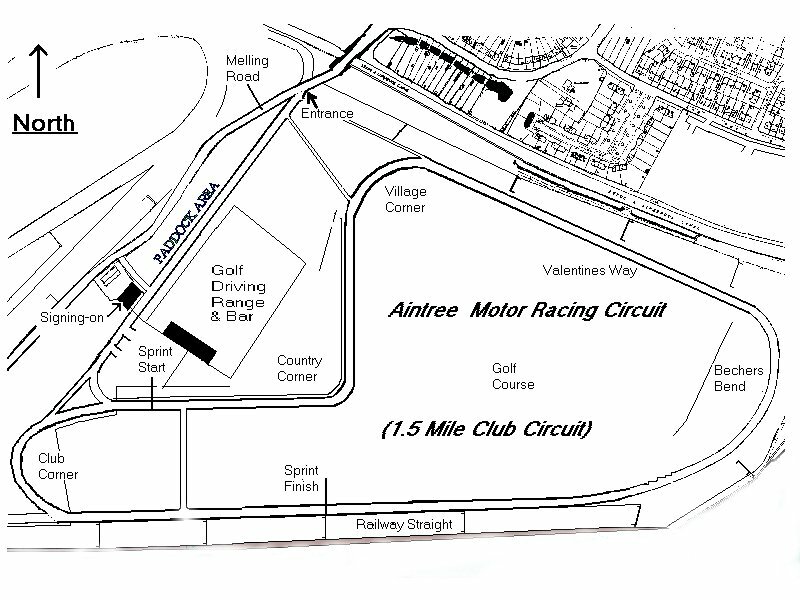 Aintree Motor Racing circuit is situated within the Aintree Grand National horse racing course which is owned/managed by the Jockey Club. The venue also features a 9 hole golf course, a golf driving range and a FootGolf course all of which have to be closed for motorsport events to take place. 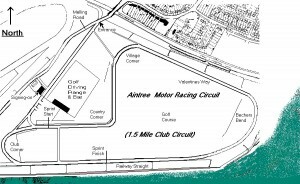 There may occasionally be opportunities for reputable commercial organisations to hire the Aintree Club Circuit for new car launches, vehicle testing etc. However, please be aware that other than for the existing car and motorcycle events, the owners do not normally hire out the venue for any activity that necessitates the closure of the golf facilities, from 1st February to 10th October.